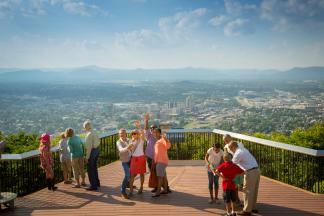 The Virginia&apos;s Blue Ridge regional partnership with five governments and over 600 private businesses generated RECORD results with more rooms sold and more visitors in 2013! Lee Wilhelm, Chair of the Roanoke Valley Convention & Visitors Bureau (CVB), stated, "As we embark on this new tourism era, we pledge our continued focus on delivering more visitors, more economic benefit, more jobs and more recognition of the great benefits our industry contributes. Working together with our investors and partners will ensure the continued success of Virginia&apos;s Blue Ridge." May 22nd at 5:00pm at the Roanoke City Market Building and Charter Hall.